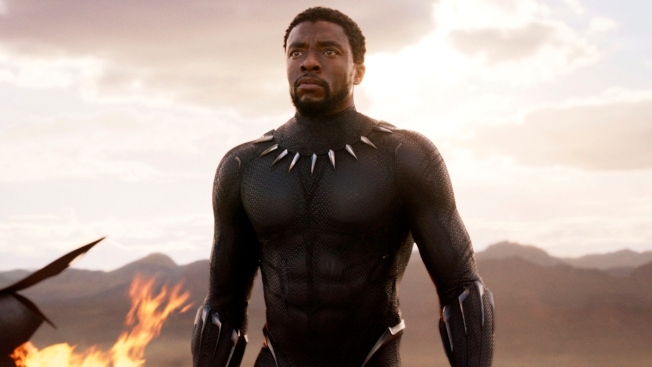 Chadwick Boseman in a scene from "Black Panther." The plan to add a "popular" movie category to the Academy Awards is enough to make many movie fans choke on their popcorn. At best, it smacks of pandering. At worst, it reeks of potential cinematic segregation – especially in a year when "Black Panther" emerged as a Best Picture contender, at least among the moviegoers who propelled it to a more than $1.3 billion box office take worldwide. The Academy could better narrow the growing disconnect between its members and the masses by flipping the script. A modest proposal: Limit Best Picture contenders to films that made at least, say, $100 million. Create a special category for flicks that pulled in under $100 million. The Best Picture competition would remain the main event. It's a potential win-win: Fans might tune into a broadcast where high-quality films they saw are vying for the top honor. Worthy under-the-radar films would get exposure to a wider audience. There’s a precedent of sorts in Hollywood history: The first Academy Awards, in 1929, honored the Outstanding Picture (“Wings”) and the Best Unique and Artistic Picture (“Sunrise: A Song of Two Humans”). Any cries of artistic impurity over a box-office threshold would ring hollow in any industry that's all about money the other 364 days of the year. In recent years, Academy voters have forgotten about the people who pay the bills. That's likely a reaction, at least in part, to the growing success of big-budget, special-effects-driven epics. What often gets lost is that well-financed, high-tech movies also can yield high quality. Yet the only Best Picture-winners in the past two decades to fit that mold are 1997’s "Titanic" and 2003’s "The Lord of the Rings: The Return of the King." A box-office cutoff wouldn't necessary penalize modestly budgeted films. "Rocky," which won Best Picture in 1977, and "Get Out," which should have won in March, both came out of nowhere to pack theaters. The bottom line is that the movie business is in trouble when people would rather watch Netflix than the Oscars. Still, there's an opportunity for a Hollywood ending. To paraphrase the battle cry that fueled a popular Oscar-winning performance: Show us the money!